Corn flakes can be used for more than just breakfast. Their crunchy nature is perfect for breading pork chops! Also, it’s pretty satisfying crunching up the flakes into bits. It’s important to bring out your inner child every now and then. 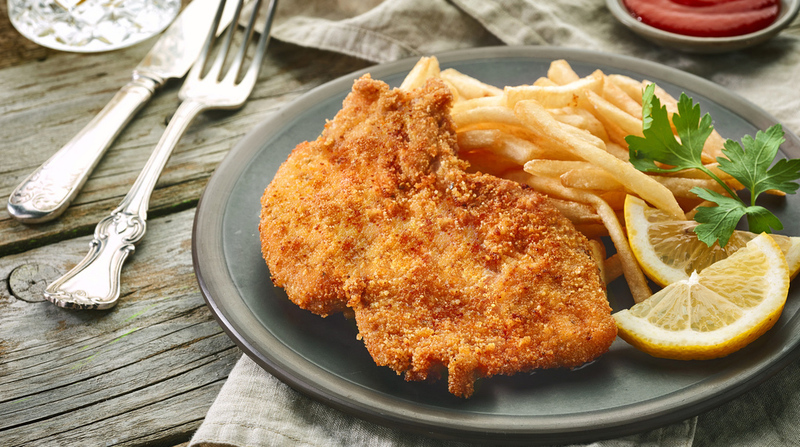 Try it with this corn flake crusted pork chops recipe. Put corn flakes into a large baggie, and crush to your desired consistency. Add seasonings, and shake to mix thoroughly. Put one pork chop at a time into the bag and shake to coat the chop well. Preheat your MAK to 375°. Place coated chops onto your MAK griddle, or on a cookie sheet and place in the preheated grill. Cook for approximately 45 minutes for thin chops. For thicker chops, cook to an internal temperature of 160-170°. If you decide to give this recipe a try, we want to see it! Share a photo in our Facebook group – MAK Pellet Grill Fans. This group is filled with fellow pelletheads who are never hesitant to share their culinary masterpieces or offer MAK maintenance advice. If you’re not currently a member, request to join today!